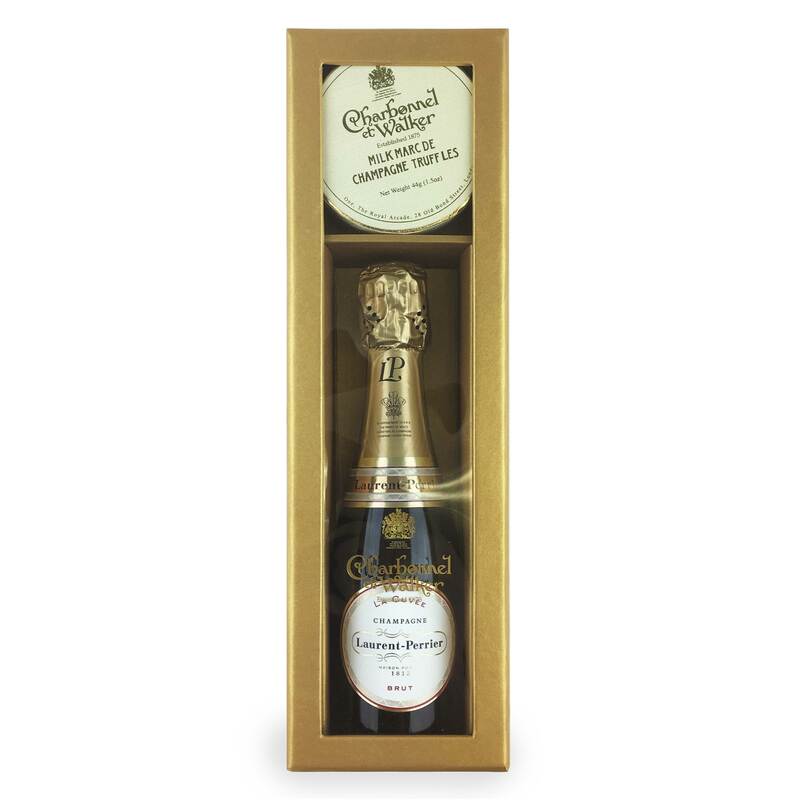 Buy this lovely Gift set of a 20cl (mini) bottle of Laurent Perrier La Cuvee Brut packed inside a gift presentation box with Milk Marc de Champagne Truffles are a 44g round box of lightly dusted milk chocolate truffles with a delicious Champagne truffle centre. This is a very classy gift set has the perfect contents to delight. The indulgent and taste of the exquisite Charbonnel milk truffles that will linger on the palate will be met with the bursting and complex taste of the Champagne bubbles. Laurent Perrier La Cuvée Brut Champagne NV is Laurent-Perrier’s signature champagne. If you require large quantities for an event or gifts please contact us before hand as they can be made to order and depending on quantity take up to three weeks to produce.